Uber’s jump in reported valuation piqued our interest around the office. It took 18 days for Uber’s valuation to rise from an estimated $10 billion to a reported $17 billion. They have yet to close the round. With the flurry of press surrounding the fundraising, the team at Mattermark expects Uber’s Mattermark Score to increase due to a rise in Twitter mentions and web traffic. The Mattermark Score is an average of all weekly momentum scores. A positive score indicates growth, a score closer to zero indicates a plateau, and a negative score indicates a declining online footprint. We used Mattermark data to determine which four transportation startups gained the most momentum in May. Contextualizing the competition, Uber and Lyft are widely seen as the top competitors; Sidecar’s $10m Series B pales in comparison to Uber’s current $307.5 million raised or Lyft’s $332.5 million. Then there’s Chariot, a newcomer to the Bay Area that is picking up speed. 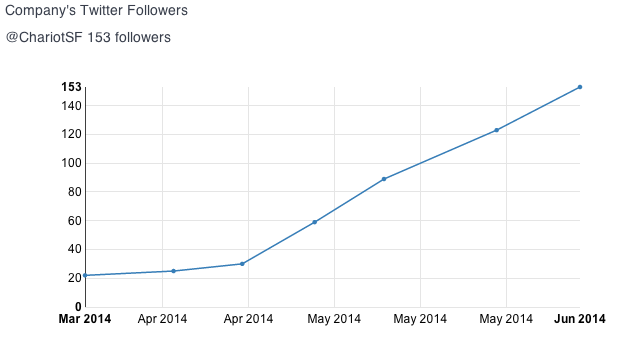 Check out the Y axis. Uber gets over 155% of the attention that Lyft gets. 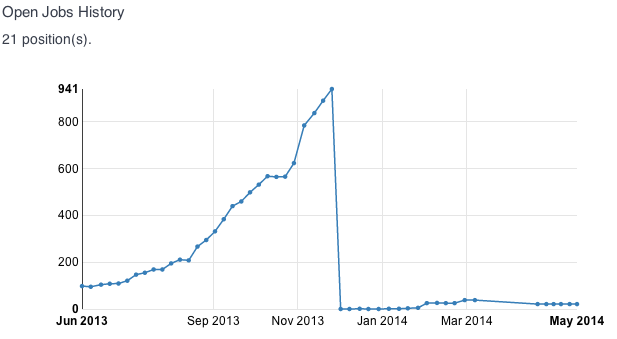 In comparison, let’s look at the attention generated by Sidecar. The first peak occurred the week of February 23rd, coinciding with Fred Wilson’s announcement that USV would invest in Sidecar. The second peak took place the week that the Wall Street Journal declared Sidecar the winner in a competition with Uber, Lyft, and a traditional taxi service based on price and time. Sidecar hasn’t generated many headlines since the article’s publication. We consider the steep decline in Sidecar job openings to be the most eye-opening indicator of the company’s growth prospects. Obviously this kind of growth is easier to capture at first. Chariot’s service—a shuttle between well-to-do neighborhoods and popular downtown destinations—can easily scale to more neighborhoods and cities. We’ll continue to keep a close eye on it. And while it appears that the wheels are falling off of Sidecar, the company has the capital to survive if it can reestablish its value proposition. 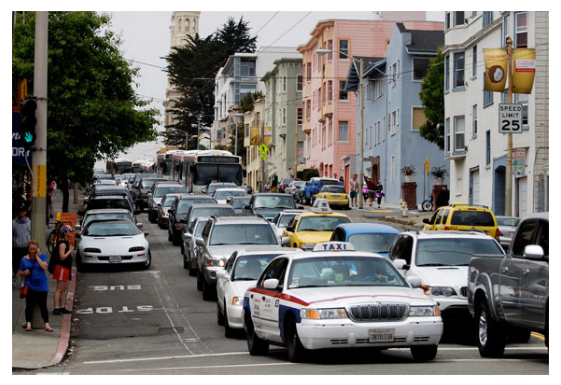 Photo courtesy of StreetsBlog SF.